Wrap yourself in comfort! 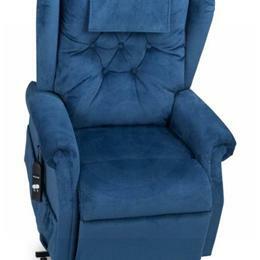 The Williamsburg is a lift/recliner that features a soft colonial design with traditional wings. This fashionable button-back design provides comfort and proper support for much needed relaxation. The Williamsburg will enhance your life as well as your decor.